Have you been thinking about moving but are struggling to find a house in the area you want to live; with everything you want, at a price you can afford? Or maybe you have been wanting to make an investment in real estate… by flipping, renting or developing a property. Good news is; after spending their lives dedicated to improving peoples lives through transforming all different kinds of real estate, we took it to the NEXT level. We offer complete “Property Brothers” style services while retaining the ultimate core values of Conniff Construction. You tell us where you want to live, and we will scour the area for the best deals on ugly homes – who better to help you look at “properties with potential” than the people who have been remodeling homes for decades and whose true passion is finding ugly houses and transforming them into new, beautiful homes. Our professionals know better than any average realtor what it will REALLY take and if there is REALLY potential in the subject properties. We can take you from the first thought about selling/buying a home all the way to having you and your family in the home of your dreams… all while staying within your budget! If you are a realtor, you can learn more about how you can take advantage of our Property Brothers opportunities by Clicking Here. With a long time passion in real estate, 2nd Generation General Contractor, Sean Conniff, is also a New Jersey licensed real estate agent with Century 21 Action Plus Realty. This includes a network of 22 in-house offices, as well as the various agents and clients we network with. When it comes to buying and selling your home, LET US HELP! As part of Conniff Investment Properties, we also buy distressed homes and homes needing work or facing foreclosure. If you cannot handle something or know of someone who may want to get out of their property, let Conniff Investment Properties help by potentially paying you CASH for your property! Please contact us via our web form or give us a call at 732-350-5005 today to get started.  Conniff Construction is a property investment company serving Holmdel, Colts Neck, Marlboro, Manalapan, Toms River, Brick, Jackson, Point Pleasant, Freehold, Millstone, Belmar, Manasquan, Manahawkin, Forked River, Lavallette, and surrounding NJ communities.